A parliamentary report of 1777 recorded parish workhouses in operation at Penzance for up to 30 inmates, and at Marazion for up to 8. Cornwall: St Buryan (2), St Erth (2), Gulval (2), St Hilary (2), St Ives (4), St Just (4), St Levan, Ludgvan (3), Madron (2), Marazion (2), Morvah (2), Paul (4), Penzance (6), Perranuthno, Sancreed (2), Sennen, Towednack, Uny Lelant (2), Zennor. Later additions: St Michael's Mount (from 1858). The Isles of Scilly also appear to have been included as a parish within the Penzance Poor Law Union. The population falling within the union at the 1831 census had been 39,627 with parishes ranging in size from Morvah (population 377) to Penzance itself (6,563). The average annual poor-rate expenditure for the period 1834-36 had been £6,312 or 4s.3d. per head of the population. 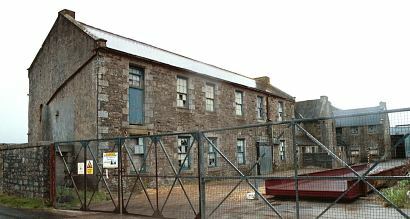 The Penzance Union workhouse was built in 1838 at Madron, near Penzance. It was designed by George Gilbert Scott and his partner William Bonython Moffatt who were also the architects for other Cornish workhouses in Liskeard, Redruth, St Austell, and St Columb Major. Intended to accommodate 400 inmates, the Poor Law Commissioners authorised the sum of £6,050 on its construction. The workhouse location and layout are shown on the 1906 map below. Penzance followed Scott and Moffatt's typical design. It had a single-storey front block with a central entrance archway. Penzance entrance block from the north-east, 2001. To the rear was the main accommodation block, three storeys high, rising to four storeys at the centre where the Master and matron had their quarters. Penzance main block from the east, date unknown. An infirmary block stood to the rear. 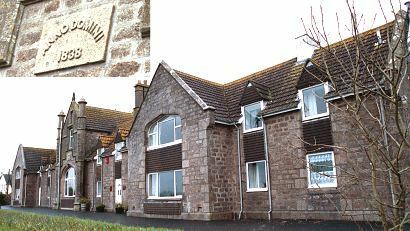 Penzance infirmary block from the south, 2001. After 1930, the workhouse became a Public Assistance Institution under the control of Cornwall County Council's Public Assistance Committee. The Institution was closed at the inauguration of the National Health Service in 1948. The former entrance block has now (2001) been converted to housing, and the old infirmary is used by a food processing company. 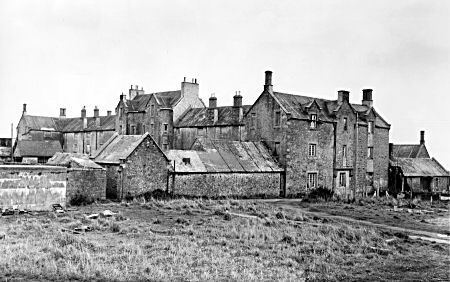 FindMyPast has Madron Workhouse baptisms (1840-1900) and burials (1839-1900). Cornwall Record Office, Old County Hall, Truro, Cornwall, TR1 3AY. Few records survive. Holdings include Guardians' minute books (1837-1930).